In order to get to the stage where you enjoy European success, teams need to make sure that they are strong and healthy back home. When it comes to the business end of the season, it can be easy to focus on the big prize, but there is a great deal to be said for taking care of business on all fronts. This is why the four teams who are making their way to Madrid for the 2015 Euroleague Final Four. CSKA Moscow booked their place in the VTB United League Playoff semi-finals after a 3-0 sweep against Astana. 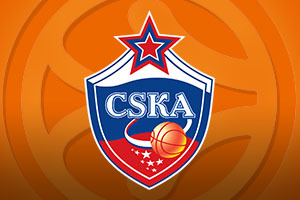 Game 2 was decided with a 110-60 drubbing and in Game 3, CSKA Moscow won 75-111 on the road. The Moscow team were on the front foot right from the start, scoring with their first 8 trips down the court. The closest that Astana came was 24-29 in the second quarter but at half-time, the score line had been stretched to 32-50. Andrey Voronsevich provided 19 points, Nando De Colo offered up 15 points and Sasha Kayun and Victory Khryapa both offered 13 points. It was the last week of the regular season in Turkey and there was a 74-94 for Fenerbahce to celebrate, allowing them to grab home court advantage for the playoffs. The win against Besiktas was well worth celebrating, because it is always good to get one over on city rivals. Once Fenerbahce get beyond the Final Four, they know that Galatasaray Liv Hospital will be lying in wait in the quarter finals in their domestic playoffs. Mehli Mahmutoglu grabbed 22 points, 17 coming in the first quarter and Bogdan Bogdanovic provided 20 points. 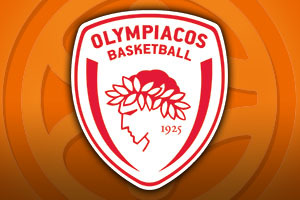 With a winning streak that has now stretched to 24 games, it is no surprise that Olympiacos have topped the table at the end of the regular season and have clinched home court advantage for the playoffs. They defeated Aris in Thessaloniki by a score of 58-69 and they then demolished Panathiniakos by a score of 104-55. Once the Final Four has concluded, Olympiacos return to Greece for the quarter-final of the playoffs, where they will take on Koroivos. There was only 1.3 seconds left on the clock when Gustavo Ayon tipped in the winner, allowing Real Madrid to defeat MoraBanc Andorra 84-83 in the Barclaycard Center in the Spanish league game on Sunday. It was a win that ensured Madrid topped the table for the regular season and that they have home advantage in the playoffs. All four of the teams taking part in the Euroleague Final Four can be confident about their domestic presence, knowing that they have worked hard to set up a thrilling finale to the end of the season. One lucky team will be looking to do a dream double of domestic and Euroleague success while the three teams who lose out in Madrid will at least know that they can achieve success on their home front.